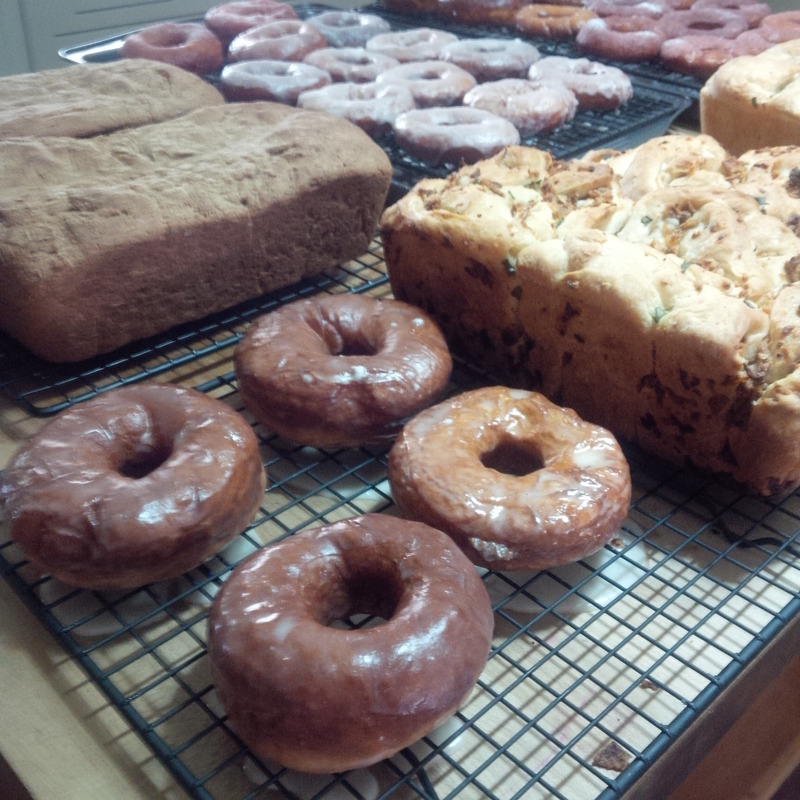 We had the pleasure of preparing a bunch of yeast baking for a great cause this weekend. It was the perfect chance for us to try out different recipes and to start using our new food labels. It was crazy exciting for us to see a table full of breads and doughnuts, all with the Lorhill Farm sticker on them! We are also prepping for the Milverton Farmer’s Market, which will start in only two weeks, and taking orders for our Home Baked Breads. Thank you to those who have already started placing orders with us, we truly appreciate your business. If you would like information on how to place an order, pricing or what is available to order, please contact us through our contact page. On top of the Home Baked Breads, we also have lettuce available and cucumbers will be ready very soon!